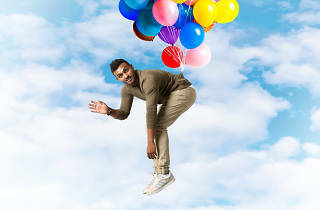 This is a review of the Melbourne International Comedy Festival season of No Pain No Hussain. 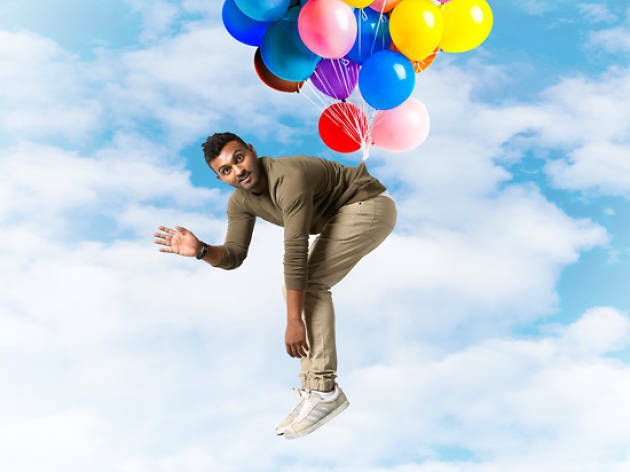 Nazeem Hussain is due to become a father any day now. So to ensure he doesn’t miss the birth of his first child, he’s performing every show at the Comedy Festival with his phone on a stool next to him. If it rings and his wife is in labour, we can all agree the show should stop and he should rush to her side, right? Hussain’s impending parenthood provides a good launchpad for the comedian to take a closer look at Australia and the wider world he’s bringing a child into. He’s a brown Muslim in predominantly white spaces, and that inevitably informs a great deal of his comedy. He’s recently spent time in the most racist town in America – Harrison, Arkansas, home of the Ku Klux Klan – on assignment for Netflix’s Bill Nye Saves The World. But the things he experienced in America’s south mightn’t be quite what you expect. Hussain, who gained prominence on the stand-up circuit as one half of Fear of a Brown Planet, continues to be politically provocative and in total command for his hour-long set. There are no lags, even when he’s on a familiar topic – Pauline Hanson jokes might be a dime a dozen by this point, but they still pack a punch when Hussain gets on one of his rants about her “facts”. There are a few bits this time around that he’s done in previous shows, including a story about dealing with internet trolls by convincing them to block you. These parts may feel a little bit safe, but they’re all tried and tested and work brilliantly well. And can you ever really accuse a man willing to say the Union Jack is the “original white ISIS” flag of playing things safe?